Zoom chat allows you to send text, screenshots, images, and files to an a contact or to a group. These features are available for both encrypted and unencrypted chat. Note: The maximum file size supported is 512MB. Open the chat where you need to send the screenshot, image or file. You can start a new chat by clicking the plus sign (+) in the chat window, Chats > New Chat at the top of the window, or Contacts > hover over a contact's name and choose Chat. You will see the three options above the box to type text. 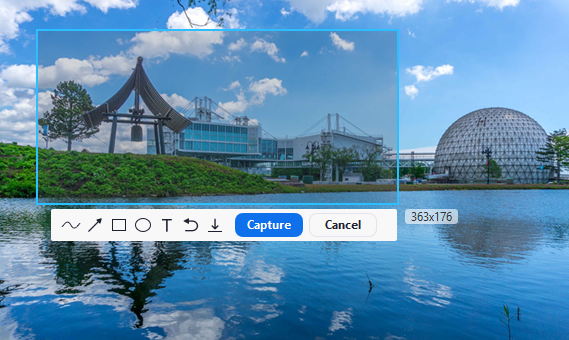 Click and drag your mouse around the portion of your screen that you want to capture, then click Capture. After you have captured it, it will appear in your chat window. Press Enter to send it. Browse your computer to find the image and open it. It will automatically send after you select it. Browse your computer to find the file and open it. It will automatically send after you select it. The chat window will show the filename and a green checkbox indicating that it was sent successfully. Open the chat where you need to send the screenshot, image or file. You can start a new chat by clicking Chats > New Group at the top of the window or Contacts > hover over a contact's name and choose Chat. Click and drag your mouse around the portion of your screen that you want to capture. Open the chat where you need to send the screenshot, image or file. You can start a new chat by clicking the pencil icon in the Meet & Chat window or Contacts > tap a contact's name and choose Message. To send a screenshot, you will need to take a screenshot using your device's settings and then following the steps below for sending an image. Tap the plus sign (+). Tap the image or images you want to send. Tap where the file is located. Browse and tap the file you want to send. It will appear in the chat window with the file name and a checkbox indicating that it was sent successfully. Open the chat where you need to send the screenshot, image or file. You can start a new chat by clicking the pencil icon in the Meet & Chat window or Contacts > tap a contact's name and choose Chat. Take a screenshot on your device. On most devices, press the home button and the power button at the same time. On the iPhone X, press the power button and volume up button at the same time. In Zoom, select the chat and tap the plus sign (+). If you just took the screenshot, it will appear above the emoji icon and X. Tap it to send and you can skip the remaining steps. If the screenshot does not appear automatically, tap Photo Album. Tap <Photos at the top left of the window. To send a file from your iOS device, it will need to be located on a cloud file sharing service. 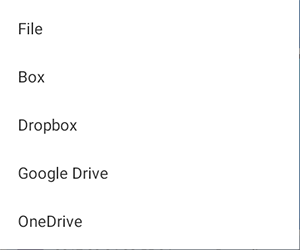 Zoom integrates with iCloud Drive, Box, Dropbox, Google Drive, Microsoft OneDrive for Business and Microsoft OneDrive. Tap the sharing service where your file is located. Tap the file you want to send.